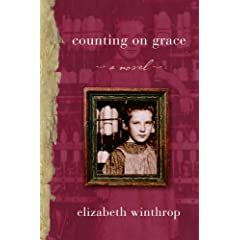 I finished Counting on Grace by Elizabeth Winthrop last night. I could not put it down. It is one of the first books in awhile I felt I needed to stay right with or I was going to miss something. It was one of those fascinating historical fiction novels you feel yourself swept into and you want to become part of that world. The story is set in the early 1900's in a small town in Vermont where working in the local mill is a way of life and child labor is rampant. The main character, Grace, is torn between continuing her schooling, or helping to support her family working in the mill. 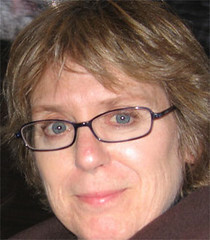 Grace is a spunky main character that carries the story through the highs and lows of her family and their lives. Her parents, while wanting the best for Grace, also must stay grounded and realistic in their dreams. Although they encourage her in a direction her teacher, Miss Lesely, and her grandfather feel is less than what she is worth, they are not bad people, they simply did not know better. It reminds me a of quote I have often heard Oprah use, "When you know better, you do better." That statement rings true the further this story is unveiled to the reader. Something I did not like about the book is really a good thing in disguise. I was left wanting more. I wanted more of the story. I couldn't stop myself. I wanted to be in that world, in that time period, in that schoolroom, just to say "I AM HERE FOR YOU!" This story is exactly right for fifth grade. I would recommend the novel to any real reader in my class. I would say everyone, but it would take a special fifth grade to ingest this story all on his or her own. I would love to read it aloud. I really enjoyed that book, too, Megan. I don't read a lot of historical fiction, but am starting to get hooked on it a bit more. Some recents historicals I loved include Hattie Big Sky and Worth. I had to twist my top readers last year (5th graders) to read this. They had read Winthrop's Castle books and loved them, but they weren't sure about historical fiction. I asked them to trust the author, and indeed, they did wind up loving the book.